The history of fashion week is as ephemeral as our changing tastes. From its early beginnings, as exclusive showcases of haute couture, to modern ready-to-wear fashion, learn the story behind the “Big Four” fashion weeks – New York, London, Milan, and Paris. Long before the advent of mass-market clothing, readily available in department stores, clothes were hand-made affairs. For most, these would be simple garments made at home. For those with the means, hiring designers and tailors would be the norm. Originating in France, the concept of an artistic clothing designer began to take shape during the reign of Louis the XIV. When was the First Fashion Week? Some debate lingers on this question, but it’s commonly accepted that the Ehrlich Brothers specialty store was the first organizer of what we could consider being a fashion event. The event was hosted in-store in 1903. This trend of store-hosted events would continue to grow so that by the 1920’s fashion events were a popular attraction, featuring in department stores and hotels. With increasing interest from Europe, it became commonplace for events to be hosted around set dates, a major development for the history of fashion week. These events were disparate and scattered, competing for attention and recognition. Fashion publicist Eleanor Lambert began organizing events to bring media attention to these events. The first ever Fashion Press Week took place in 1943. Part of this event organization was to draw attention to and showcase American designers, who previously lived in the shadows cast by French designers. As World War II was raging across the globe, the occupation of France gave American designers a chance to shine, and their presence gradually began to rise in fashion-centric periodicals. Despite this continuing growth and prominence, the New York events would not be organized into a single location until the early 1990s. Before this, events would be held in a variety of sites, until safety concerns prompted a demand for a unified venue. Fashion Week began in New York. Fashion Week events occur twice a year to reflect the upcoming seasons. This allows buyers to preview upcoming designs and the media to generate buzz. February and March showcase autumn collections, while September and October feature spring collections. New York, London, Milan, and Paris are considered the most influential cities in the fashion world and are collectively referred to as the “Big Four” in the world of fashion. And while many cities across the globe feature their own Fashion Weeks, Austin Fashion Week included, these four cities are the most important. Just as the cyclical nature of fashion nurtures itself, the events themselves have influenced how each has taken shape and grown over the years. 1943 – The first large-scale organization of fashion events in New York City, known as Press Week, or Fashion Press Week. 1945 – French shows begin organized by the Trade Association of High Fashion. 1958 – Milan starts their fashion week, managed by the National Chamber for Italian Fashion. 1973 – The French Fashion Federation assumes organization of events, creating the modern French Fashion Week. 1984 – The British Council of Fashion starts the London Fashion Week. 1993 – New York events organized into a single venue. What is the Importance of Fashion Week? Over the last few years, cities like Berlin, Los Angeles, Tokyo, Hong KOng, Rome, Madrid, Shanghai, India, and Seoul have joined the original four – Paris, London, Milan, and New York in hosting fashion weeks and other events. As soon as one fashion week ends, another begins! Almost every week is a fashion week somewhere in the world! Now, you could spend practically the entire year going for fashion week to fashion week without ever having to land back at home. Fashion week holds an important place in the fashion industry. Fashion designers showcase their latest trends, talent and an opportunity to get noticed! It equally holds importance for bloggers, photographers, designers, influencers, and everyone interested in fashion. For designers, who are just starting out, a fashion week is a perfect opportunity to connect with an audience and make customers. It’s a platform for both big and small brands to be “out there” and be more accessible. 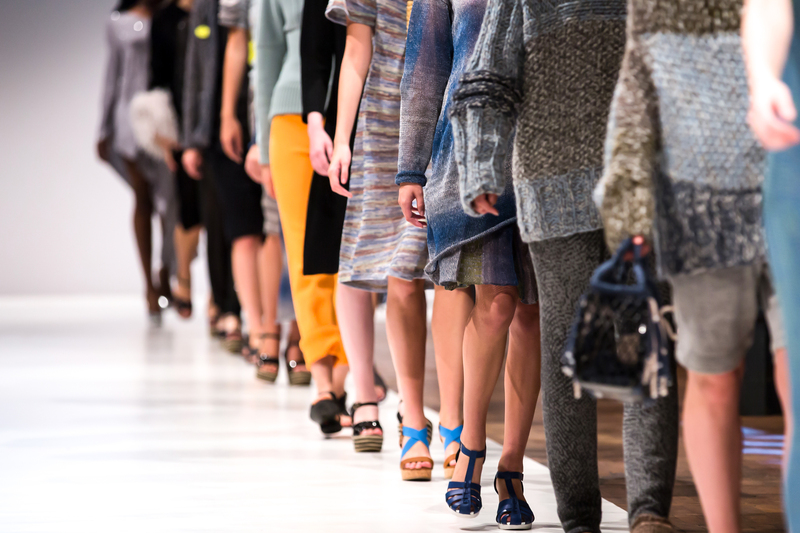 Today, runway fashion is much more attainable for consumers. The trends we see on the ramp can be bought in-store, or even better, it can be bought online. The way consumers perceive fashion today has greatly evolved and runway fashion has made its way to wardrobes rather than being just on display. One season, it’s animal print, while another it’s all about summer style. You may be interested in a designer’s work and a new trend may start in the upcoming year. As opposed to a few decades back, consumers today are more aware of fashion and fashion trends. Common people indulge in couture fashion labels and it is a fashion week that brings them to the forefront. Fashion week is the mecca for all things clothing, accessory, nail, and makeup! Fashion Week continues to evolve each and every year, as designer’s and promoters devise ever more daring and unique ways to showcase their creations. In the earliest days, models would simply model looks while moving down the catwalk. By the mid-twentieth century, designers experimented more with their presentations, and encouraged their models to smile and dance, which was considered revolutionary at the time. By staging catwalk shows in exotic locations and introducing playful thematic displays, the line between fashion as business and fashion as art continues to blur. Modern designers pursue this trend, as each year more and more move from the standard traditional formula to more informal presentations. This includes exploring new venue locations. Social media has been instrumental in its promotion, and apps for mobile devices have begun to appear, allowing users to gain a digital front row seat to see the latest collection as soon as it hits the runway. By embracing the rise and prevalence of technology, the world of fashion has been able to penetrate an even larger market than ever before, with no telling of where the history of fashion week will go next!